Where is the Internet used? Section 2: Education What do they do? Older people tend to be task-oriented. They use Google to find things out and email to keep in touch with family and friends. In business they may use videoconferencing. Young people, by contrast, spend their lives surrounded by a personal network of friends and family they are in touch with 24 hours a day. It’s fascinating how there is a generational difference in the way the Internet is used. 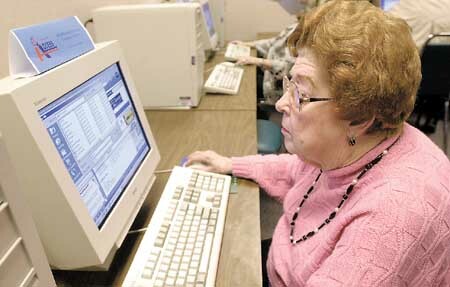 Older people predominantly see it as an electronic version of the old technologies – a place you go to when you wish to perform a particular task. Young people on the other hand, see it as a ubiquitous connecting technology that simply enables them to be in constant touch with an entire network of people. In this context you can see why education is still stuck in the old “delivery” model where a body of knowledge has to be learned and tested. Young people see themselves as learning by collaborating and creating and are increasingly disengaging with education.